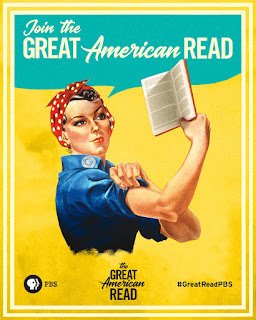 Guys, The Great American Read on PBS is pretty much a bookworm's dream. I am so excited for this show! I have been counting down the days to the premiere and after watching the first episode, I must admit I love it! Did you guys catch the first episode? I also am inspired to check out some of the books on the list that I haven't read yet. Did you guys see the official list? Which books are your favorites? Are you surprised by any of the books on the list? I love that this show lends itself to people discussing books and getting passionate about their favorites. In turn, my TBR list is overflowing with recommendations! I am so, so excited to kick off this holiday weekend with an incredible giveaway! 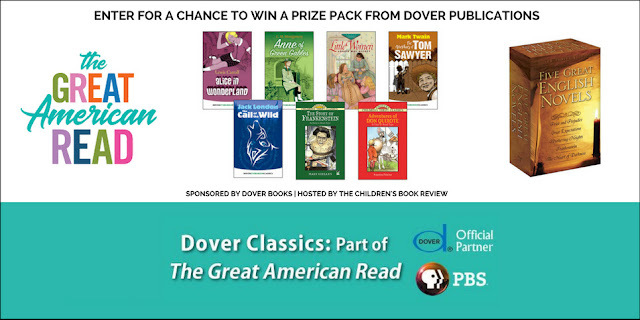 I have partnered with The Children's Book Review and Dover Books to give away a set of seven titles from The Great American Read list as well as a Five Great English Novels Boxed set. I wish I could enter this giveaway myself! How fantastic is this giveaway? These classic novels would look great on any bookshelf. Please refer to my giveaway rules and the giveaway ends June 22, 2018 at 11:59 PM PST. This giveaway is open to residents of Canada and the fifty United States and the District of Columbia who are 13 and older. Prizes are provided by Dover Books. To learn more about Dover Books, check out their website or visit them on Facebook. 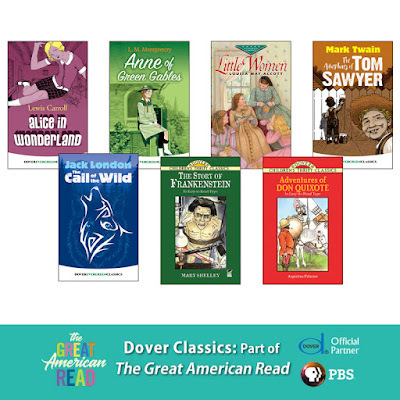 Also, you can find all the Dover books featured on The Great American Read list right here. Let me know which Dover Books are your favorites and which ones you have been meaning to read. Anne of Green Gables is one of my favorites for sure! 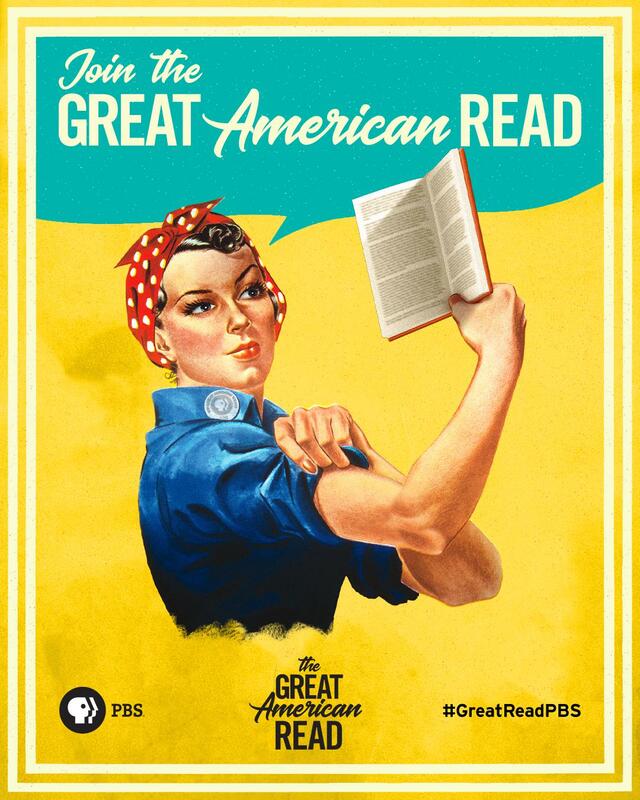 Are you going to watch The Great American Read on PBS? Let me know in the comments below. Have a great weekend! Thanks, Donna! I appreciate the kind words. Thanks for visiting and entering the giveaway! I love reading Alice in Wonderland. It is one of my favorite classics of all times. Such a fun classic! Thanks for visiting, Abby! I've seen a couple ads for the show, and it looks really cool! Definitely unique, don't see a lot of shows about books! Both prize sets look amazing! The show is awesome and definitely a book lover's dream. You should check it out. They won't air any more episodes until the fall, so it won't be hard for you to catch up. ;) Thanks for visiting! Anne of Green Gables. Can you believe I haven't read the series? Oh my gosh! You need to. It's so good! Thanks for visiting, Joy! Thank you for posting. They are all such great reads.I'd love to read Call Of The Wild. Call of the Wild is an excellent read! Thanks for dropping by, Carol! I know! I wish I could enter. I absolutely love the prizes. Thanks for visiting!